How to Clear Browser History on Mac| 6 Solution are Offered! Do you know how to clear browser history on Mac? Next, I will guide you on how to completely delete browser history on Mac in Safari, Opera, IE, Firefox, and Chrome. Boosting and speeding up Mac can be attributed to a lot of factors and most of which are the browser histories, caches, downloads, and more. They take up a lot of space and can be frustrating at times. So why not go ahead and clear them all out? Find out below on how to clear history on Mac and regain your Mac performance. Part 1. What is Browser History? A web browser captures every site or pages you visit to optimize and customize your browsing experience. Every website you access including all activities you did on that specific page is stored locally on your Mac. Doing this saves time and makes it faster to load the same site the moment you re-visit the site. It is called browser history because it records the timestamp and the specific page you accessed. It can be good but a little alarming since it may invade your privacy plus of course the fact that it saves the huge amount of data that will tremendously affect the speed of your device. However, you have all the privileges to clear the browsing history on your Mac. If you use multiple browsers, well you need to do the cleaning on each browser such as Safari, Chrome, Firefox, IE, and Opera. What gets deleted when you clear history? Part 2. How to Clear History on Mac in Seconds? There is a one-stop solution to clear the histories on different web browsers in just a few seconds. Since you are using multiple web browsers, clearing them one by one may actually take time and a lot of settings to dig in. We recommend that you use Browser Cleanup by iMyMac-PowerMyMac, a software with excellent tools on how to clear history on Mac. After download iMyMac-PowerMyMac on your Mac, you can check your Mac's running status. 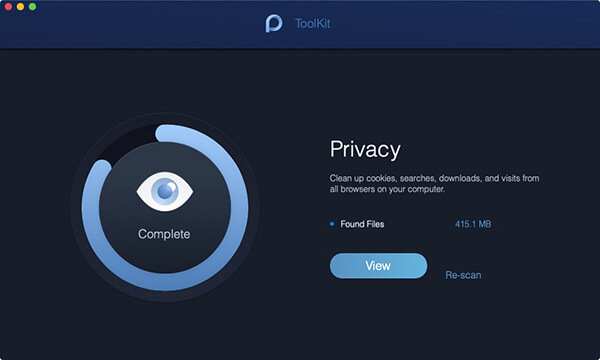 Select Browser Cleanup-Privacy under the option "ToolKit". Click Scan to start the browser cleaning. Click on the Clean button and wait for the process. You may choose multiple browsers to clean. Wait until entire cleaning is finished. Browser Cleanup is a self-help program with in-depth performance in clearing out browser histories, caches, cookies, and more. Apart from that, there are more tools to use for made especially for your Mac. It also offers a lot of de-cluttering tools to boost the Mac performance by uninstalling old and unwanted apps, large and old files, shred files, and many other compatible Mac tools. Part 3. How to Manually Clear History on Mac? If you opt for a manual method on how to clear history on Mac, we will give you the complete steps on how to do it on various web browsers. The following steps below will help you navigate and go through each web browser. Find out which one works for you. Getting yourself familiar with Safari settings is better so it won't take much time in clearing browser histories. Opera settings are easy to handle too. Firefox has almost similar browser history settings like the rest. These are the manual steps on how to clear history on Mac in various web browsers such as IE, Safari, Chrome, Firefox, and Opera. If you notice, doing these steps on multiple browsers is very tiring and confusing. Unless you have all the free time in the world that you can do all these. But of course, your data is at risk if you will keep it longer. You also need to clear browser histories at a regular time to ensure that nothing is traceable on your data. Choose only the best and quickest method on how to clear browsing history on Mac. After all, using Browser Cleanup by iMyMac-PowerMyMac is still the best and fastest option on how to clear history on Mac. This program lets you do tough jobs in seconds, unlike manual methods. 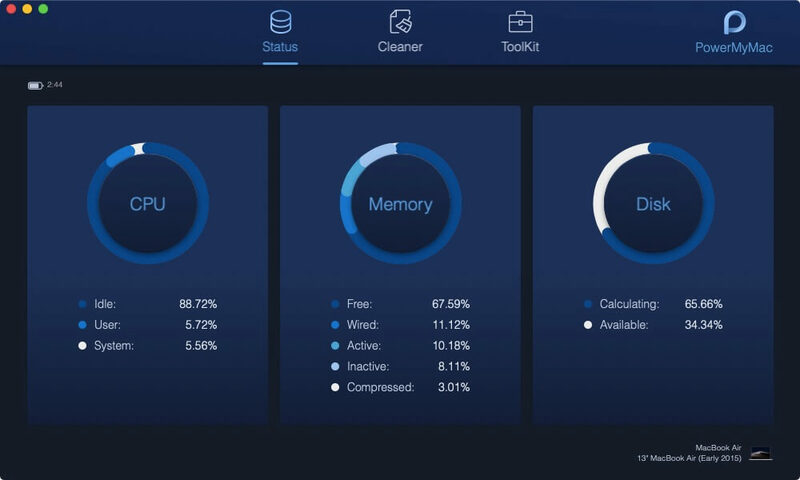 Apart from the cleaning tasks, Browser Cleanup also checks your system status and removes Junk files and more in just a few clicks! Your internet activity is now safe by implementing these methods we recommended above. We hope you apply these steps and regularly clear out browser history on your Mac to keep it safe, secured, and on full performance. Download your free version today and discover how great Browser Cleanup is!